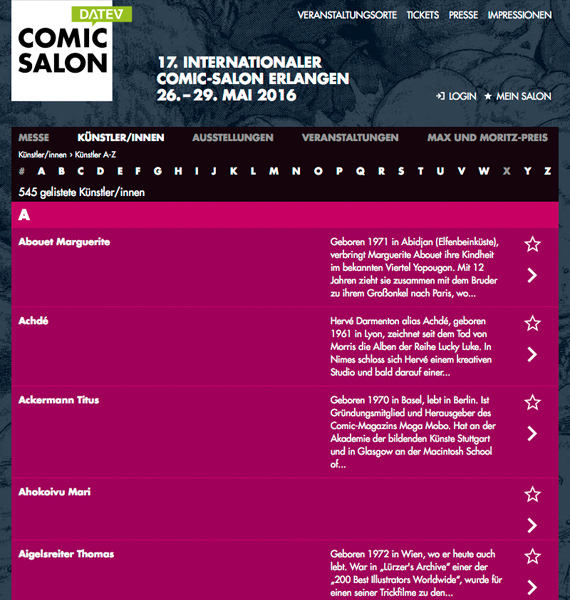 In 2016, we completely redesigned the website for the International Comic-Salon in Erlangen. 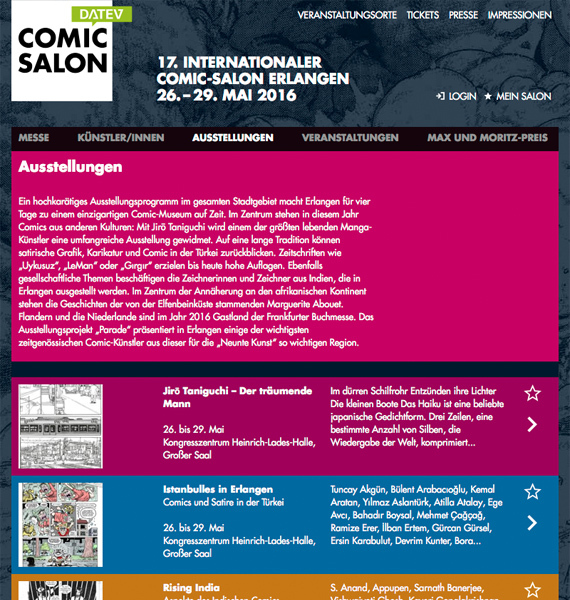 With over 25.000 visitors, the Comic-Salon has become a highly important comic convention in the german-speaking world. 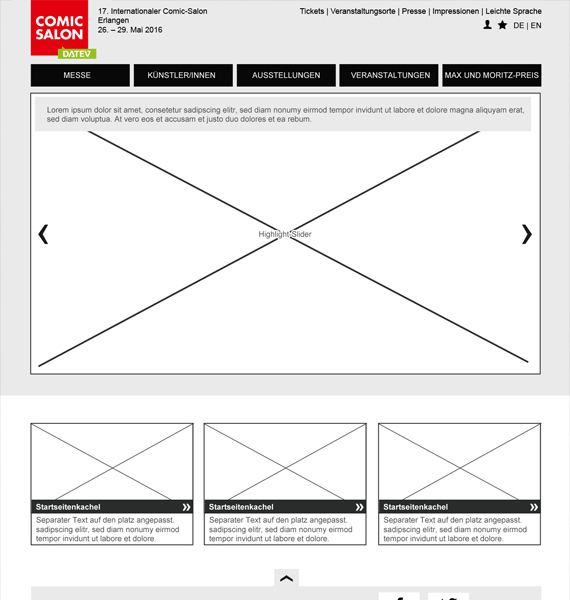 There were various challenges to be adressed during the website redesign: Hundreds of completely different side-events taking place during the three festival days needed to be displayed online. 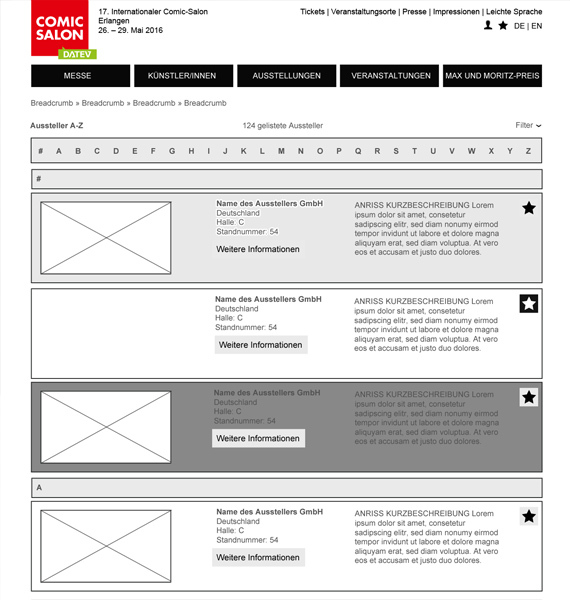 We worked out different templates to make sure every event could be displayed in the best possible way. 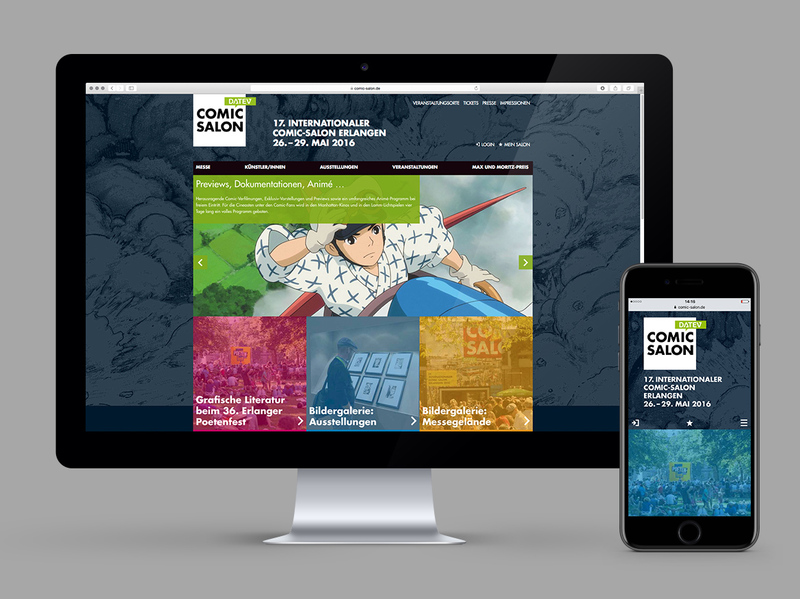 The whole site was built fully responsive, ensuring an optimal user experience on mobile devices and on big screens. I was mainly responsible for the conceptional design work, wireframing and the early visual exploration of the final design.